In celebration of the World Intellectual Property Day, the A. M. Al-Refai Library in coordination with the U.S. Embassy organized an event dated April 26, 2011. 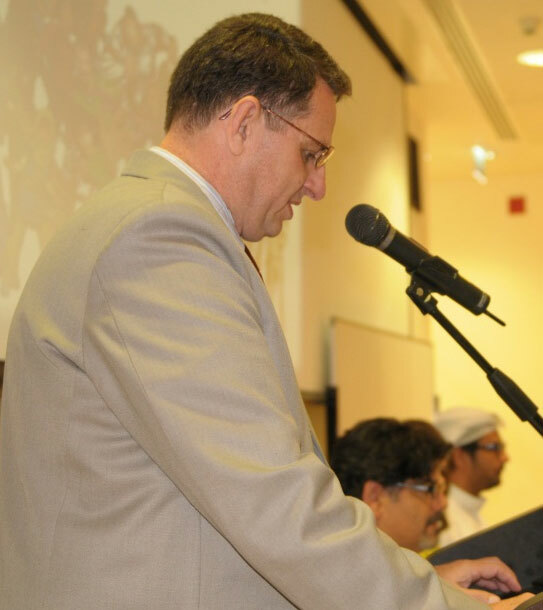 The event entitled ‘Designing the Future’ held at the GUST auditorium, opened by Dr. Lee Caldwell, Dean of the College of Business Administration and the U.S. 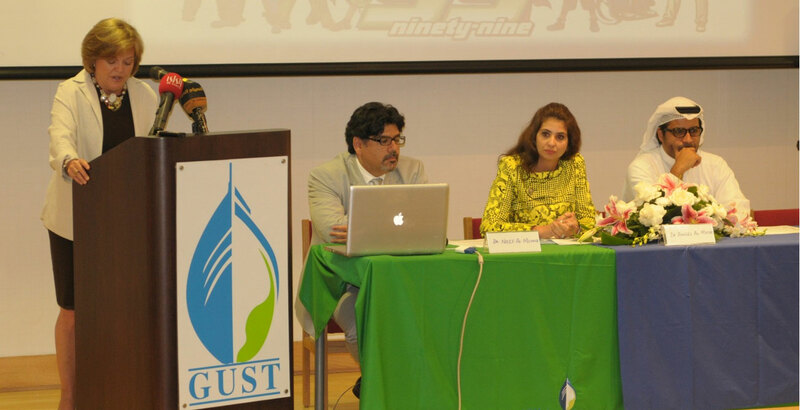 Ambassador, Deborah Jones, was well-attended by the Management, faculty, staff and students at GUST. The panelists included Dr. Naif Al-Mutawa, Founder of the 99 comics, Shamlan Al-Bahar, Managing Director of the Proteges, and Dr. Anadel Al-Matar, Chairwoman of IPR Society and Kuwait Bar Association. The speech was followed by the panel discussing the role of Intellectual Property in Promoting Innovative and Entrepreneurial Endeavors in Kuwait. First to speak was Dr. Naif Al-Mutawa, Clinical Psychologist, Founder of The 99 comics and CEO of Teshkeel Media, spoke on the role of Intellectual Property Rights (IPR) in running an international media company and the importance of protecting those rights. Dr. Al-Mutawa described the instances he has personally known on the violation of IPR in Kuwait, wherein logos and identities of stores and restaurants have been stolen and used elsewhere (ex. Baroue store, became a Baroue nursery too). He explained how important it was for him while working on The 99 to pay close attention to its rights and safeguard its credibility and identity. The 99 was on the cover of Newsweek.” not to mention the critical acclaim received from the President of the U.S. himself, Barrack Obama. The second panelist, Dr. Anadel Al-Matar, Chairwoman of IPR Society at Kuwait Bar Association and Legal Consultant, talked about the legal challenges faced in Kuwait in protecting IPR, combating the problem of unlicensed software in Kuwait, and the role of IPR in developing e-commerce, where she mentioned that Kuwait was on the world watch list for IPR violations. Towards the end, the audience asked the panelists some questions to which they received satisfying answers. On the whole, the event was successful; an experience that was informative and eye-opening.